This is a 1941 Ford hubcap with an 8 1/4 inch back inside diameter. 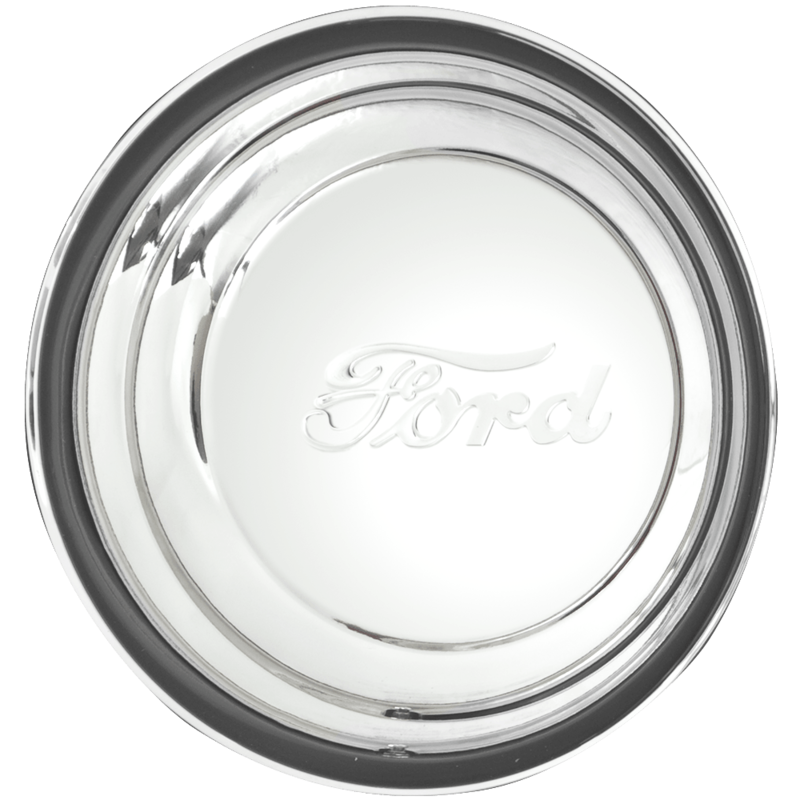 These classic Ford hubcaps are made of stainless steel. Fits our Hot Rod Steel and Hot Rod Solid wheels, all sizes. This cap has an 8.25 inch back inside diameter, please check your actual wheels required cap fitment size. Does this hub cap have clips to hold it on the wheel? This is not a clip-style hub cap, it is held on by bumps on the inner ring of the wheel, at 8 1/4" diameter. Will this cap fit the 15x7 smoothie, 5x4 1/2, 5x4 3/4, 4.00 backspace? No, this cap is for Hot Rod Steel model rims only. Click Here for the proper cap. 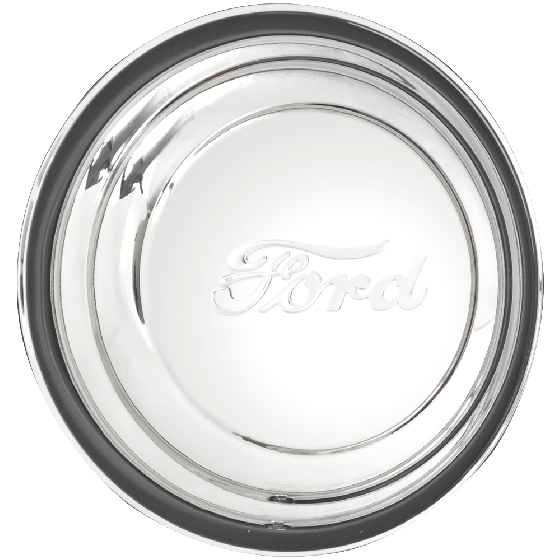 I need a set of 4 Ford script dog dish hubcaps with a 7-1/2 inch inner mounting flange. We have a selection of 7 1/2" Ford style center caps here.